The first few days and weeks after giving birth are a roller-coaster of emotions for any new mom. 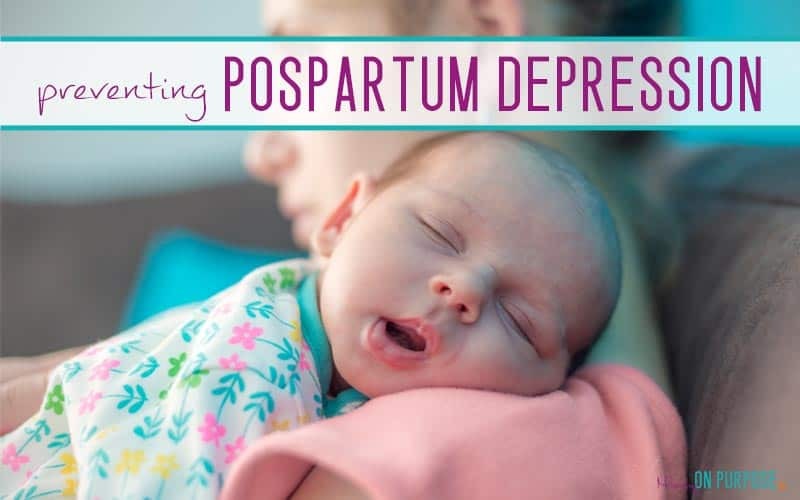 Taking care of yourself and having a good support network around you after having your baby are important steps in helping to prevent postpartum depression. I remember when I had my baby, the number of friends, neighbors, and colleagues who told me about their own experiences with postpartum depression. Despite being a mental health nurse, I was really surprised at how many mom friends had been through this and I didn’t even know. Postpartum depression is a mental health condition that many women experience in the weeks and months after having a baby. It is more common than you might think. It affects around 10-15% of women within a year of giving birth. Feeling sad and emotional after having a baby is common and is known as “baby blues”. You might be tearful, feel low in mood or anxious. This is caused by the massive changes in hormones after giving birth and is very normal. But if these feelings last longer than a couple of weeks, you might have postpartum depression. Postpartum depression can start anytime in the first year after having your baby. Unlike the baby blues, it doesn’t just go away on it’s own and can last a long time unless you get help. You may not experience all of these symptoms, or you might find they slowly develop over weeks and months. If you think you have developed postpartum depression, you must speak to your doctor as soon as possible. If you have postpartum depression, it is important that you don’t blame yourself. It can affect any woman after having a baby and it is certainly not your fault. What are some postpartum depression risk factors? Don’t forget, any mom can develop postpartum depression, even if there are no risk factors. Even if you do have risk factors, it does not mean you will develop postpartum depression. It just means you may be more vulnerable to becoming unwell if you do not have the resources to help support you. Postpartum depression is not caused by any one factor, so it is difficult to say exactly how to prevent yourself from becoming unwell. Unlike the baby blues, postpartum depression is not caused only by hormonal changes in your post-baby body. Other risk factors play a huge role in how likely you are to become unwell and how you could prevent postpartum depression. There have been several studies looking into how to prevent postpartum depression, but there is no clear evidence of specific prevention strategies that will help. For most new moms, taking care of yourself as much as you can is essential. For moms who have a history of mental health problems, speaking to your doctor is the best first step. It is easy to focus on new moms in the postpartum period, but don’t forget about dad. It is estimated that up to 25% of dads become depressed during their partner’s pregnancy or in the first year after their baby is born. Scarily, this figure can increase to 50% if mom has perinatal or postpartum depression, meaning a huge impact on the new family’s wellbeing during that difficult first year. Symptoms may be slightly different between mom and dad. Fathers might become more irritable, show no interest in the new baby, start drinking alcohol or using drugs, or spend less time at home. How to prevent postpartum depression? 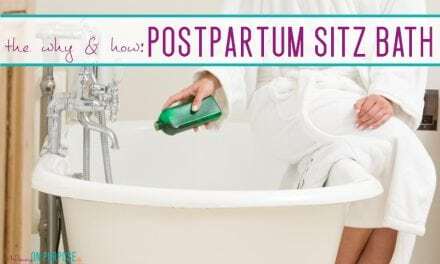 There are many ways you can increase your chances of staying healthy and happy throughout the postpartum period. If you don’t have any specific risk factors, or if you are able to manage those risk factors, a healthy lifestyle can improve your mood and possibly prevent postpartum depression. It is so important that you take care of your physical health after you have a baby. Whether you are breastfeeding or not, your body has gone through a huge transition and needs to recover fully. Eating a well-balanced diet, with plenty of fresh fruit, vegetables, carbohydrates and protein is essential for your recovery. In fact, serotonin – the “feel good” hormone – can be increased by the amino acid tryptophan. Eating plenty of good quality proteins that contain tryptophan, such as salmon, eggs, nuts and turkey, can help improve your mood. If you don’t have the time or energy to cook a healthy meal every night, try using a crockpot. You can just throw everything in it in the morning and have a delicious, home-cooked meal in the evening. Or batch-cook and freeze meals when you do have the time. Drink plenty of water and stay hydrated. This is especially important if you are breastfeeding, but everyone should drink lots of water for good health. I know this might be easier said than done with a baby in the home, but getting enough rest is vital to staying physically and mentally well. People who have chronic insomnia – like most new moms – are more vulnerable to becoming mentally unwell. If you are never getting adequate rest, you are at much higher risk of developing postpartum depression. If your baby is waking up frequently during the night, try to time your sleep so you sleep when he does. Many babies sleep for their longest stretch between 7 pm and midnight. Try going to bed when your baby does and at least get 4-5 hours undisturbed sleep. I was always told to nap when my baby naps. I found this to be rubbish advice! My baby only napped for 30 minutes at a time, and I needed to clean, shower or eat during that time. But I tried to find a time each day when I could catch up on my rest, even if I didn’t sleep. This might not be top of your priority list after giving birth, but even a gentle walk is great for improving your mood. Studies have shown that mild to moderate exercise 4-5 times a week can improve, and even prevent, depression and anxiety. You need to make sure whatever exercise you choose is suitable for your stage of recovery. Don’t push yourself too hard too soon after giving birth. If you are in the first 12 weeks postpartum, aim to go for a walk each day with your baby, get some fresh air and start to move your body again. If you gave birth over 12 weeks ago, and your doctor has given you the OK to exercise, find a suitable exercise you enjoy and do it a couple of times a week. Maybe go swimming, do yoga or increase the distance you walk each day. Just getting out and moving can help prevent postpartum depression and improve your mood. “It takes a village to raise a child”, yet we are increasingly doing it alone in our society. So many moms are finding themselves raising their babies with little or no support from family and friends. For those of us lucky enough to have a partner, sharing the responsibility of childcare can help reduce feelings of depression, but for single moms or moms whose partners work away, finding your tribe is essential. Connect with family and friends if you can. Tell them how you are feeling, what support you need and how they can help you. Having a baby is a 24/7 job and you need to ask for, and accept help when it is offered. Ask someone to babysit while you catch up on an hours sleep or go to the supermarket so you can cook a healthy meal. Talk to other moms who have been there too. Join local baby groups, re-connect with friends or spend time with your partner. Sharing stories about your babies will take the pressure of you to be the perfect mom – she doesn’t exist by the way! Going out for a coffee or a walk with girlfriends will help you feel part of society again after weeks of being stuck inside with a newborn baby. If you are struggling to breastfeed, this can lead to feelings of low mood and depression. Make sure you get the support you need if you want to continue breastfeeding but are finding it difficult. You can speak to a lactation consultant about improving latch, positions and helping to make breastfeeding easier and more comfortable to you and your baby. Self care isn’t selfish. If you don’t take care of yourself, how will you be able to take care of your baby? A mom who is exhausted, frustrated and burnt-out will struggle to be a supportive, loving and kind mom. You need to allow yourself the time and space to recharge and look after yourself, and then you can be the best mom to your child. Self care isn’t about getting pampered or spoiling yourself. It is about looking after your needs every day. It’s about being able to de-stress in the evening, do something for yourself and not spending all your time and energy looking after everyone else. Identify 5 things that you love to do, that make you feel calm and relaxed, and that you can realistically do regularly. You might enjoy having a long soak in the bath, reading a book, going for a walk or painting. It doesn’t need to cost any money and it doesn’t need to take you away from your family for hours. Self care means allowing yourself to be just as important as everyone else in your family and treating yourself the same way you would treat others – not neglecting yourself or putting yourself last all the time. What can you do to prevent postpartum depression if you have risk factors? If you can identify with one or more of the risk factors listed above, you may want to take proactive steps to reducing your risk of developing postpartum depression. If you have had previous mental health problems, you should speak to your doctor about preventing postpartum depression. During your pregnancy, you can be closely monitored and in the postpartum period, your mental health team can be more involved in your care. Your healthcare provider might come up with a plan for you to prevent you from becoming unwell, such as attending support groups or counseling. You should be alert for any symptoms of depression or anxiety and seek help sooner rather than later. Don’t put off speaking to your doctor about your symptoms. 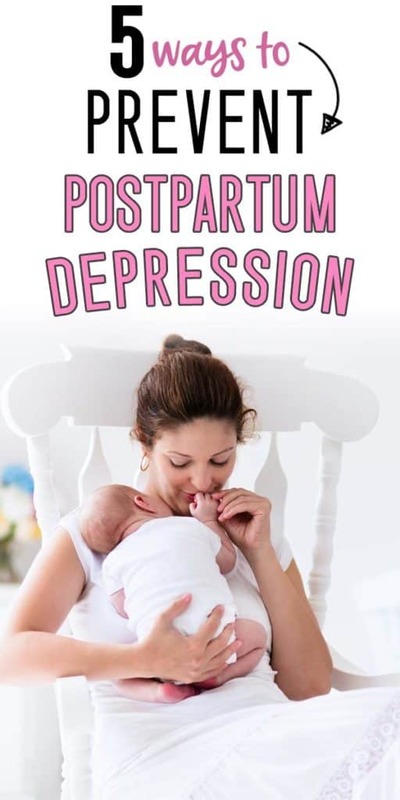 It is easier to treat postpartum depression if it is diagnosed early and you will be able to enjoy life with your new baby. The first year after the birth of your baby can be stressful, exhausting and scary. But it is also an amazing experience caring for your new baby and watching him grow. Whether you are a first-time mom or have a large family already, postpartum depression can affect any woman after giving birth. Follow these tips to take care of yourself and help to prevent postpartum depression. 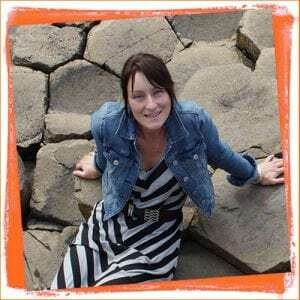 Catherine is a blogger, writer and registered mental health nurse. She is now a stay-at-home mum living in Kent, England with her 18month-old son. Her blog explores parenting, lifestyle, and wellbeing. She is passionate about improving the health and wellbeing of those she works with. Catherine loves to share her experiences and advice on how to keep positive and relaxed about parenting, reduce stress and enjoy the journey into motherhood. 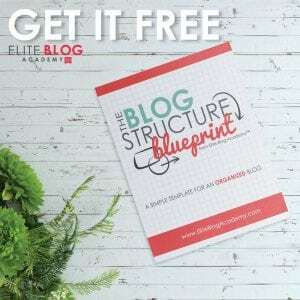 PreviousWhy doesn’t my blog make money?